The Pacific Investment Research team brings decades of experience helping people create secure financial futures. Richard has been providing investment advice and financial planning services to individuals and families for over 25 years. As Chief Investment Officer, he oversees research and investment processes of Pacific Investment Research. Prior to becoming an investment professional, Richard worked as a software engineer in the fields of aerospace and bio-medical instruments. While an engineer, he developed a deep interest and passion for investing. After obtaining his securities license in 1991 he started in his new profession by preparing financial plans and recommending mutual funds to individual investors. In 1995, Richard earned his CERTIFIED FINANCIAL PLANNER™ certification and launched Schultz Financial Management, an independent fee-based investment advisory firm (the predecessor of Pacific Investment Research). Early in his career, Richard followed a common investing approach, creating diversified portfolios of mutual funds across a broad array of asset classes. Disappointed with portfolio declines during the 2000-2002 bear market, Richard decided to take a more active hands-on approach to investment management going forward. He drew on his engineering background to develop quantitative methods that would systematically reduce risk during market declines. This proved to be a smart decision as he helped clients successfully navigate through the great recession of 2008-2009, significantly limiting their losses, so their investment portfolios quickly recovered to pre-recession levels. To this day, Richard continues to develop and refine the firm’s money management capabilities and risk management techniques in order to enhance their clients’ investing experience. Richard’s credentials include a Certified Financial Planner® designation as well as a FINRA Series 7 securities license. He is a member of the National Association of Personal Financial Advisors (NAPFA) and the National Association of Active Investment Managers (NAAIM). 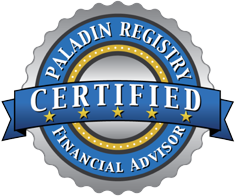 Richard is also rated as a 5-star advisor in the Paladin Registry, and an approved MD Preferred Services™ provider to physicians. Richard is most satisfied when he delivers exceptional service and results for his clients. Richard lives with his wife and two daughters in North Tustin, CA. In his free time he enjoys hiking and golfing. 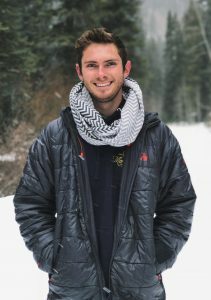 Nathaniel (Nate) joined the team in 2018 as a Summer Analyst and accepted an offer at the end of the internship. Nate is a student at Chapman University, where he is pursuing degrees in Finance and Data Analytics. While interning, Nate demonstrated his diligence and dedication to accurately serving the firm and its clients. To improve his investments acumen, Nate is studying for his CERTIFIED FINANCIAL PLANNER designation, after which he will pursue the title of CHARTERED FINANCIAL ANALYST. He currently assists Richard with investment management, client reporting, and administrative tasks. Nate also contributes to the PIR Insights blog, maintains the firm’s social media, and makes himself available as a resource to clients. Nate’s career goals are centered around helping people build their assets, or as he calls them, their “stored energy”. Brian provides tax planning advice and prepares tax returns for many clients of Pacific Investment Research. He has quickly made a name for himself as an enthusiastic advisor for countless clients of Winter Accountancy Company by following in his father Kevin’s footsteps. 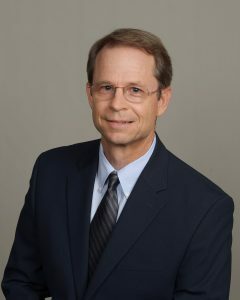 His years of experience have lead to an interest and expertise in the area of small business advising, having assisted a variety of businesses such as healthcare professionals, small manufacturers and real estate professionals in shaping intelligent tax solutions to their unique needs. 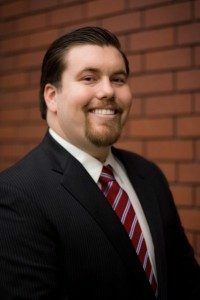 Brian is a Certified Public Account with a BS degree in Accounting from Chapman University. Cecilia has been the customer service manager for Pacific Investment Research since 2007. Her passion is making sure our clients get what they need, when they need it. Cecilia has a MS degree in Biochemistry from Cal State Fullerton. 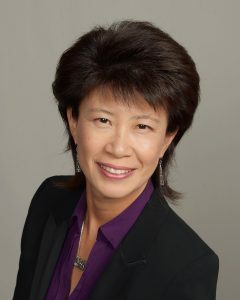 Prior to her current position with Pacific Investment Research, she worked for 15 years at Beckman Coulter in Brea, California, providing technical support to customers and field engineers. How to select the right financial advisor for your needs in retirement.